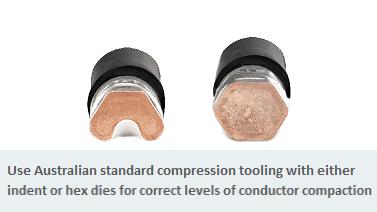 Copper compression lugs for copper cable terminations 1.5mm² to 630mm². 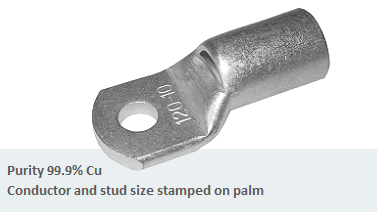 All connectors are made from seamless 99.9% seamless copper tube extrusions, the connectors are formed, annealed, and finally electro tin plated. 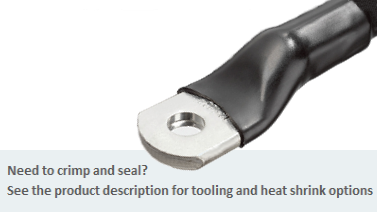 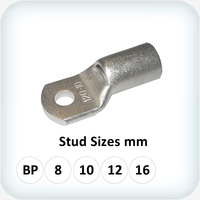 The tube wall thickness, and relative inside and outside diameters, are specific to Australian and New Zealand standards and suit Australian metric compression tooling. 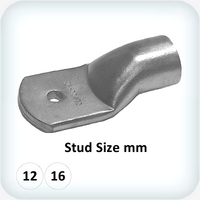 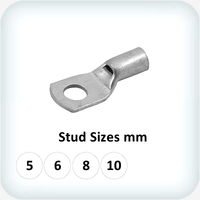 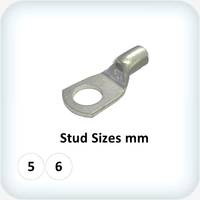 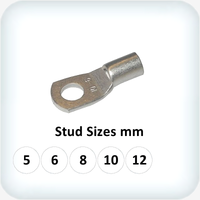 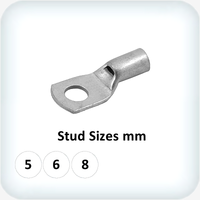 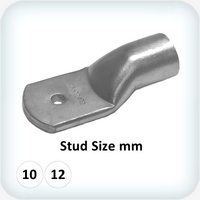 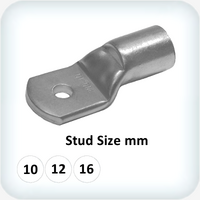 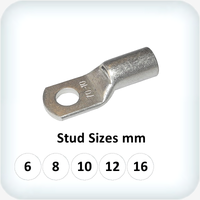 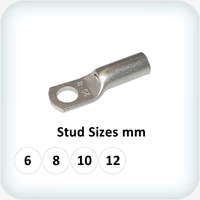 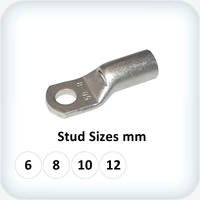 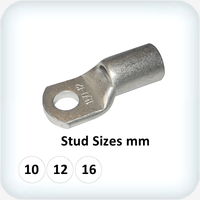 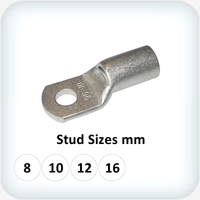 For ease of identification the conductor size, and where applicable, the stud size is stamped on the palm of the lugs.